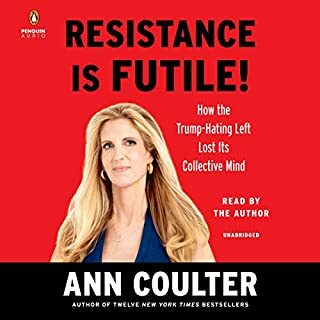 From the author of The New York Times best sellers Treason and Slander comes an updated Ann Coulter compendium, complete with reader responses and television and talk radio transcripts (Couric, Donahue, Franken). With titles like "Would Mohamed Atta Object to Armed Pilots? 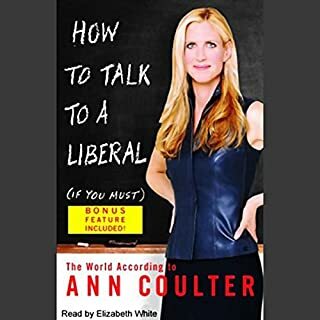 ", "9 out of 10 Caribou Support Drilling", and "Liberal Pimps for Clintonism", How to Talk to a Liberal covers Coulter's waterfront on her favorite issues and targets, from national security to Hollywood. For decades, the Left has been putting on a play with themselves as heroes in an ongoing civil rights move­ment - which they were mostly absent from at the time. Long after pervasive racial discrimination ended, they kept pretending America was being run by the Klan and that liberals were black America’s only protectors. It took the O. J. Simpson verdict - the race-based acquittal of a spectacularly guilty black celebrity as blacks across America erupted in cheers - to shut down the white guilt bank. I'm Fully Converted to the Right. The demon is a mob, and the mob is demonic. The Democratic Party activates mobs, depends on mobs, coddles mobs, publicizes and celebrate mobs - it is the mob. Sweeping in its scope and relentless in its argument, Demonic explains the peculiarities of liberals as standard groupthink behavior. To understand mobs is to understand liberals. When Washington, DC, was first built, it was on top of a swamp that had to be drained. Donald Trump says it's time to drain it again. In The Swamp, best-selling author and Fox News Channel host Eric Bolling presents an infuriating, amusing, revealing, and outrageous history of American politics, past and present, Republican and Democrat. Corey R. Lewandowski, Trump's campaign manager who launched Trump's historic bid for the White House, teams up with David N. Bossie, the consummate political pro who helped steer the last critical months of the Trump campaign, to offer the first insiders' account of the most historic campaign in modern political history. 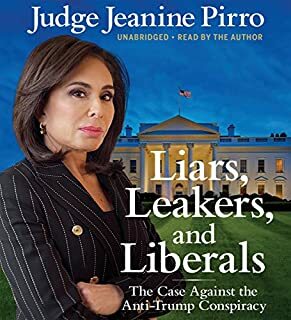 Starting from the months leading up to Trump's announcement all the way through staff shakeups within the White House, they offer eyewitness accounts of the real stories behind some of the most sensational headlines. Do I Dare to give less than 5 🌟🌟? Not one to shy away from controversy, Ann Coulter once again brings her no-holds-barred approach to the current state of politics and culture, and in this highly charged election year, her take on issues is certain to attract major attention from across the political spectrum. Always entertaining, Coulter is one of the most talked about figures in America today. 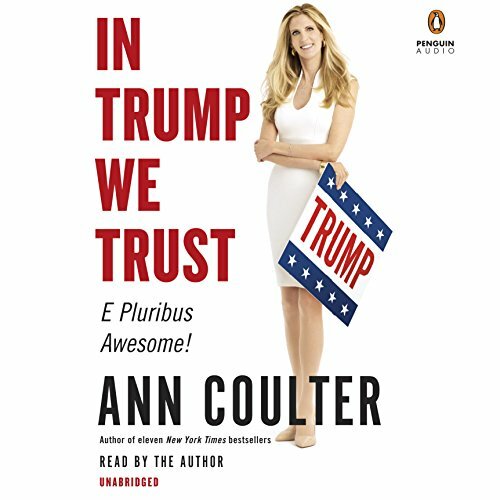 Here is Ann Coulter's funniest, most devastating, and, yes, most outrageous audiobook to date. Coulter has become the brightest star in the conservative firmament, thanks to her razor-sharp reasoning and biting wit. Now you can listen to all the quotes that have so outraged her enemies and so delighted her legions of fans. Included are dozens of brand-new commentaries by Coulter as well as hundreds of never-before-published quotations. Donald Trump isn't a politician - he's a one-man wrecking ball against our dysfunctional and corrupt establishment. We're about to see the deluxe version of the left's favorite theme: Vote for us, or we'll call you stupid. It's the working class against the smirking class. 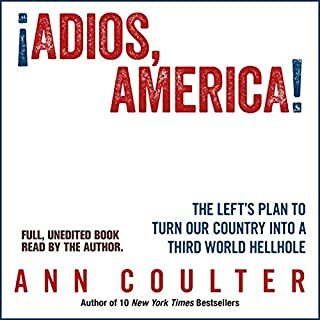 Now Ann Coulter, with her unique insight, candor, and sense of humor, makes the definitive case for why we should all join his revolution. The three biggest news stories of the 2016 presidential election have been Trump, Trump, and Trump. The media have twisted themselves in knots trying to grasp how he won over millions of Republicans and what he'd be like as president. But Ann Coulter isn't puzzled. She knows why Trump was the only one of 17 GOP contenders who captured the spirit of our time. She gets the power of addressing the pain of the silent majority and saying things the "PC Thought Police" considers unspeakable. She argues that a bull in the china shop is exactly what we need to make America great again. He's putting America first in our trade deals and alliances, rather than pandering to our allies and enemies. He's abandoned the GOP's decades-long commitment to a bellicose foreign policy at a time when the entire country is sick of unnecessary wars. He's ended GOP pandering to Hispanic activists with his hard-line policy on immigration. Working-class Americans finally have a champion against open borders and cheap foreign labor. He's overturned the media's traditional role in setting the agenda and defining who gets to be considered "presidential". He's exposed political consultants as grifters and hacks, most of whom don't know real voters from a hole in the ground. If you're already a Trump fan, Ann Coulter will help you defend and promote your position. If you're not, she might just change your mind. This was a great reminder of that entire process. Reminded me of what President Trump went through and endured for us and our Country. It reminded me of who said what and just how evil they were (and still are). With main stream media still on the attack, lying, and twisting the facts this was a good reminder and I will be sharing with friends and family. 3. She inserts an occasional, well-timed sometimes subtle, sometimes biting, satirical wit when commenting on failing pundit predictions or "understood conventional wisdom" that keeps me chuckling throughout the book. To me Ann Coulter is far and above the best writer of political commentary/history that we have today. Future generations will discover the treasures she's left them and no doubt in my mind will be counted among the greats. I would love to someday meet her and have a conversational cup of coffee with her and become a good friend. Got through it in one sitting. could not stop listening. Trump wasn't my pick, and I knew Coulter loved him from the word go, but I wanted ro know why? She has incredible insights- things one will instinctively know are true but needed to hear it first. She dispelled a few out and out lies I had accepted- notably: did you know Donald Trump never mocked a reporter's disability? It turns out that was just a smoke screen to hide the fact that Trump was right- 100%- about muslims celebrating after 9/11. In fact checking, that reporter missed his own story about the very topic. When called on it he claims not to have remembered. Trump imitated a flusteted person, but the media seized upon the reporters disability which does not cause the man to exhibit any such behavior. 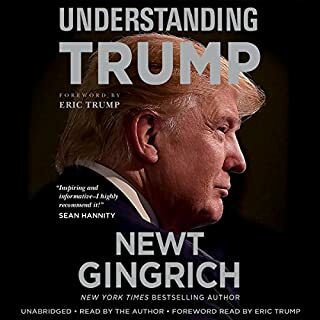 Full of other surprising facts, and brilliant insights- If you are genuinely curious about the Trump movement and the man- you really want to learn- here's a great source. Wish I had known this all sooner- might not have wasted a primary vote on anyone else. This should be required reading/listening for ALL voters! It exposes the ugly reality of politics to the reader/listener. A great example of how the media aids in controlling public opinion. Hopefully people will pay attention! Ms Coulter makes a terrific Trump cheerleader, as well. A 1 chapter book stretched to 12? listen to chapter 1. Afterthe 1st chapter its variations on a theme. in one word BORING. I decided not to listen to much more of this book after the first 30 mins and will return the book. I found from what I heard to be unsubstantiated miopic opinion and although I am sure that other listeners may find what Coulter has to say of interest, I was not one of them. 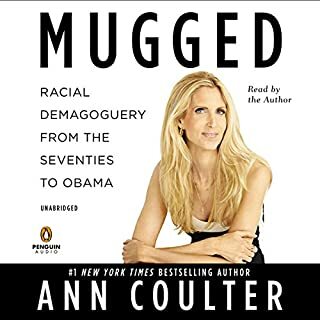 Coulter made some decent points here and there but the vast majority of the book is a self-indignant quote-fest of Coulter spouting people's quotes about Trump, with Coulter making a statement that they were all wrong. Overall I found the book boring and unhelpful. A lot of rehashing and it seems rushed, which I suppose it probably was. Save a credit. Ann Coulter at her best. I picked up this book at Costco and read a couple of pages. I realized I didn't know that much about Trump, other then what I was told. The appendix is a ton of predictions on how Trump can't win, despite the public loving him. Everything you are being told about Trump is either wrong or a distortion of fact. Ann (I wish I was on a first name basis with her), very clearly makes the case for Mr Trump. She points out the actors trying to undermine him and why. I started the book as a Cruz fan willing to vote for Trump, to an enthusiastic voter for Trump. That surprised me. I'm confident, if elected, Mr Trump might really fix both the Republican Party and the country in general!